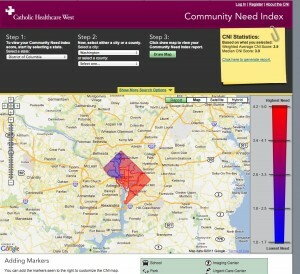 Community Need Index – is this what Health 3.0 is? 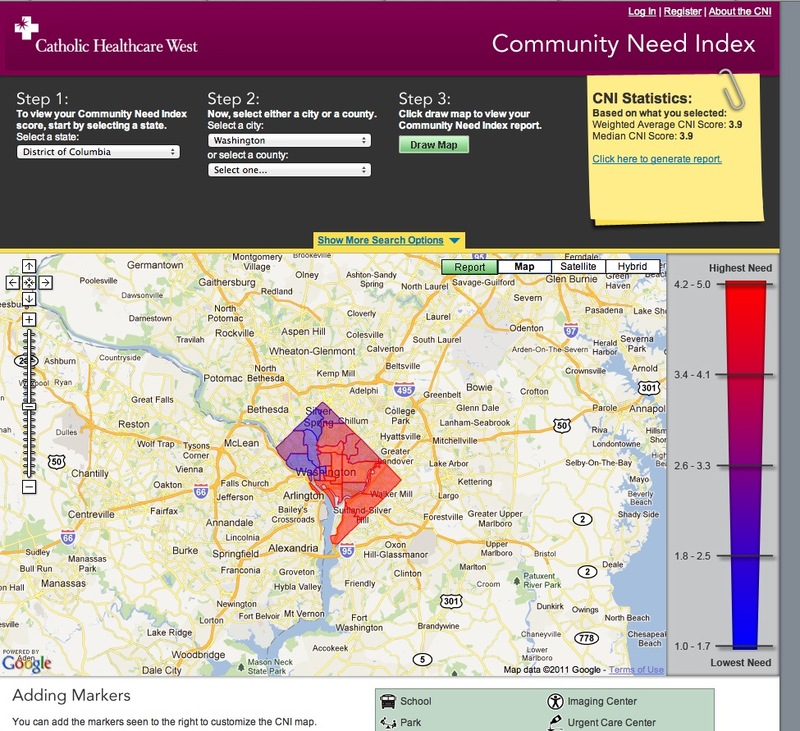 Community Need Index – This is another (second of two) useful GIS-based resource that illustrates social determinants of health (again, hashtag #SDOH), this time from Catholic Healthcare West, and sent my way via Richard Roth (@rich_roth), who’s active in the Innovation Learning Network (@HealthcareILN). The results are a little different here because this is more of a general index of community need than a peek into multiple health databases. Serves a different need, but also shows the disparities in Washington, DC, that tend to be glossed over in national data (incorrectly, unfortunately). I think both resources are useful. CNI might be useful to get a snapshot of areas of need (or “deprivation” as they say in the UK) in your community, and Community Commons for deeper investigation into specific data points AND resources active in a particular area that are working to address problems. And then there’s also County Health Rankings, from the Robert Wood Johnson Foundation. 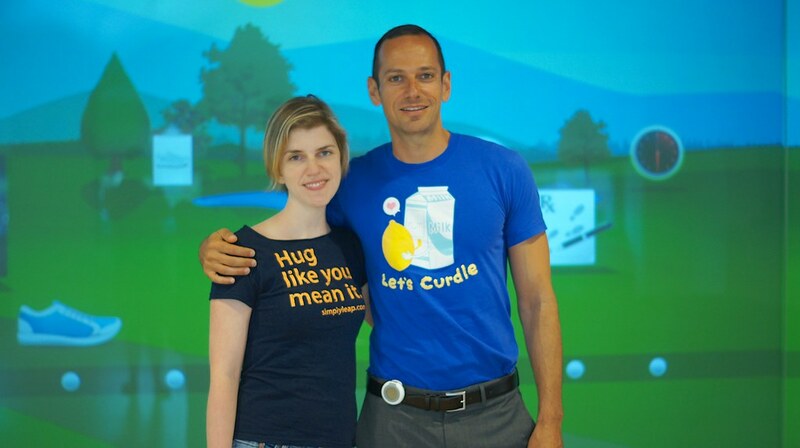 Clearly the social determinants of health space is getting some attention, is this Health 3.0? If it is, I am supportive, I believe this is work is harder and it is where we’ll make a difference.